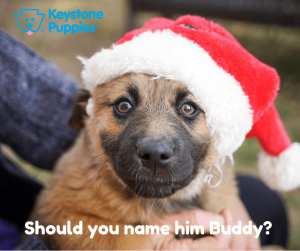 Many families will welcome a new pup into the family over the holiday season. And one of the many joyful tasks ahead of you is to find the perfect name. 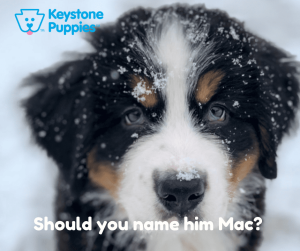 Whether you’ve got a male or female puppy, we’ve put together a list that will get you thinking about the perfect name for your perfect dog. Will any of these names make sense for your new pet? 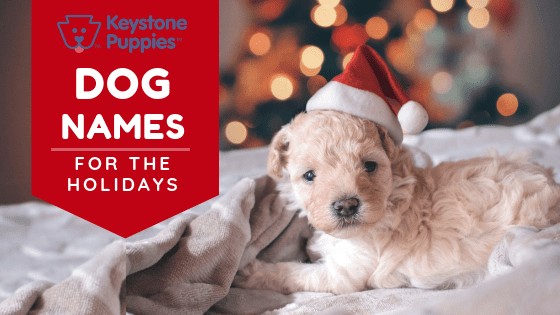 Keystone Puppies wishes you and your family a happy new year. 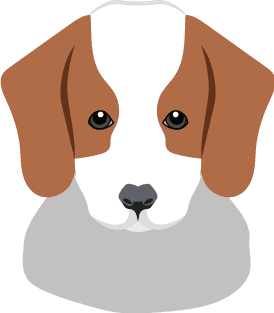 If you’d like to explore puppy breeds, click here. If you want to get started to find your forever dog, click here.